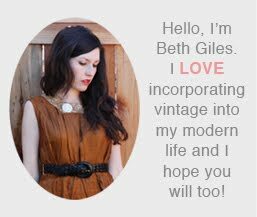 Vintage Clothing Blog | Vintage Wedding Dresses | Salvage Life: Celebrating 40 Years of Commitment! Celebrating 40 Years of Commitment! 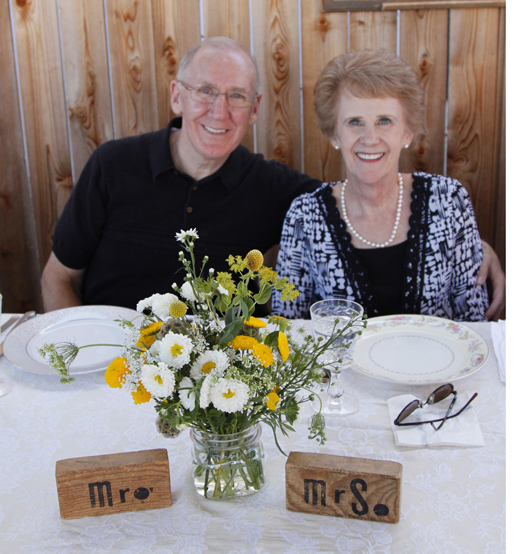 Over the weekend we hosted a party for my in-laws, it was their 40th Wedding Anniversary! We held the party in our new backyard (ok, I really need to take some photos of the backyard and post them already!) We had the dinner catered, but everything else we did ourselves. 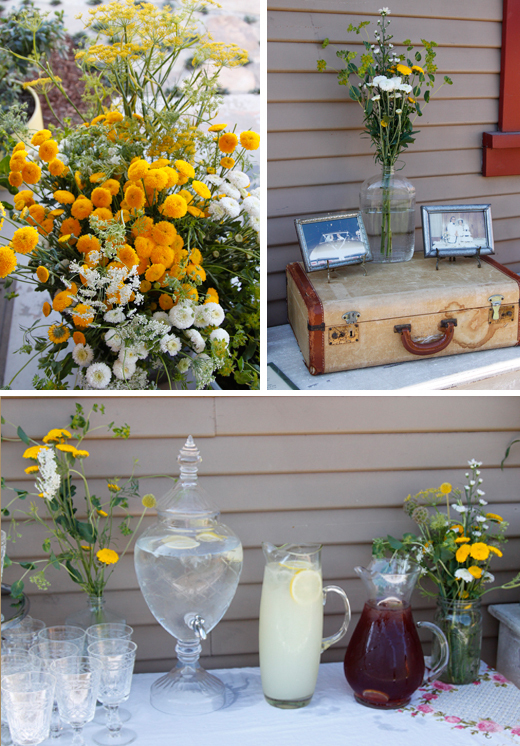 I got the wild flowers at the LA flea market and threw them in some old bottles and vases. 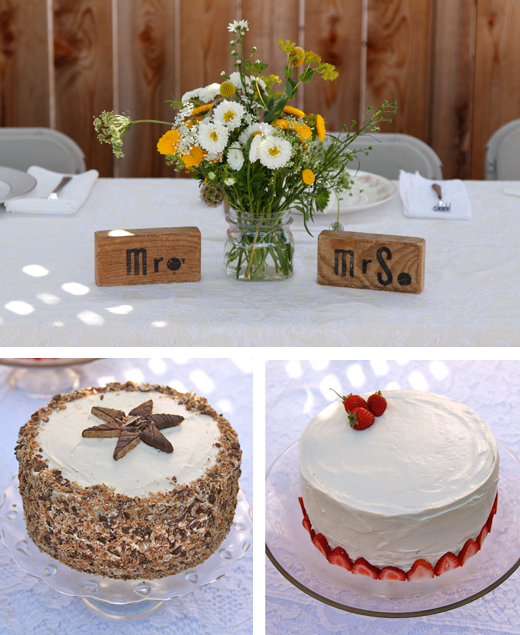 I made two cakes: strawberry vanilla and chocolate butterfinger. After borrowing lots of props and things from my shop and setting up the mismatched china, we were ready to go! It was a lovely evening...I hope the happy couple felt honored because they deserve it. We love you Mom and Dad and we hope that you have many, many more years together! So lovely Ms. Beth! I am thrilled you honored them with such a delightful party - they have been a steadfast example to so many of us! You have such talent for creating beautiful surroundings - for this party, at your shop, the shower you hosted recently. Not to mention the lovely outfits you put together! you always throw such great parties!